On June 30, the 11-inch and 13-inch MacBook Air (mid 2011) as well as the 13-inch, 15-inch, and 17-inch MacBook Pro (late 2011) will become obsolete. 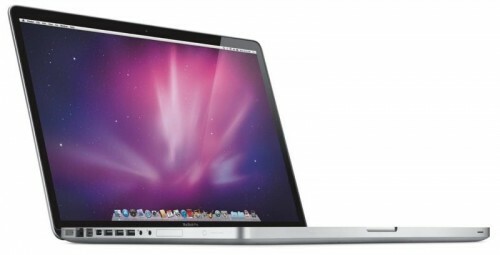 Moreover, Apple is making the 17-inch MacBook Pro (mid 2009) obsolete too. Finally, the 16GB and 32GB iPhone 3GS (2009) and the first generation AirPort Express (2008) will be also added to the list of obsolete devices. 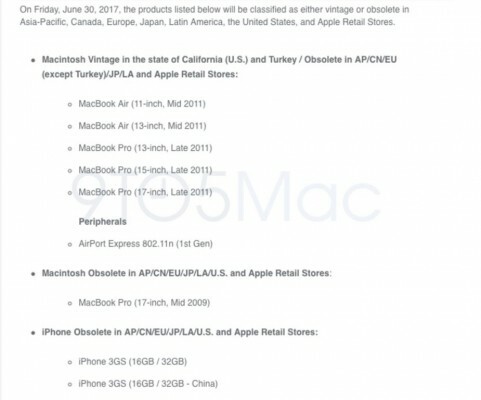 Due to local laws, in Turkey and California, Apple will continue to repair all 2011 MacBook Air and MacBook Pro models. In these regions the devices will get a vintage status. 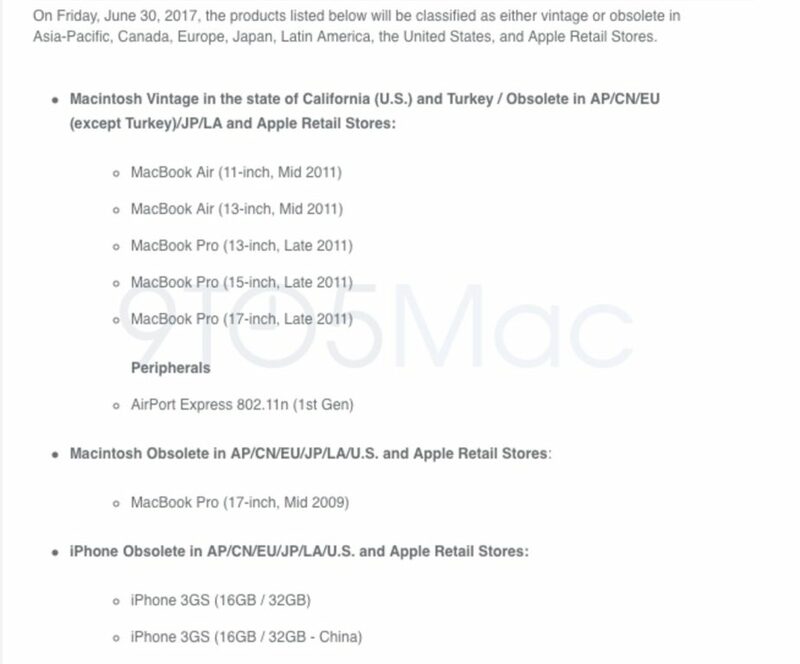 Apple typically does not notify its customers about the changes in product statuses, adding older devices to the list of vintage or obsolete quietly. If you own any of the aforementioned Apple gadgets and need assistance, you still have some time to get it.